I-league Second division winner NEROCA FC will become first ever Manipuri club to play in India's premier club competition. On Friday, 1st December we will perhaps see two of the youngest squad in the history of I-League face-off when Minerva Punjab takes on NEROCA F.C. in Guru Nanak Stadium, Ludhiana, Punjab. Minerva Punjab held Kolkata giants Mohun Bagan at home last time around and will now host the newly promoted NEROCA F.C. 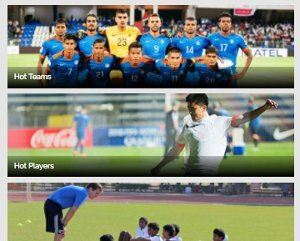 which is also the first ever club from Manipur to take part in the top division of Indian football. 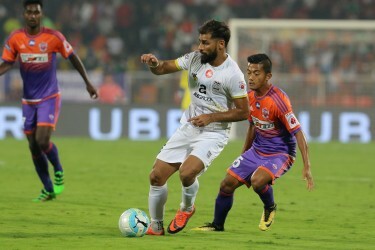 The home side were tactically on point in their match against Mohun Bagan where they followed the man-marking strategy which neutralized the Mohun Bagan attack for most parts of the game. Abhishek Ambekar, Captain Sukhdev and Kassim performed exceptionally well while half time substitute Lago made an instant impact and made life difficult for Mohun Bagan defence. Minerva Punjab head coach Wankhem Khogen Singh was happy with the squad’s performance. “We were excellent in the 2nd half against Mohun Bagan. If we keep the same form we can surely collect 3 points tomorrow,” he told media. NEROCA, on the other hand, are playing their first game of the season and that too an away one in Ludhiana, Punjab which is almost 2700 Kms far from Imphal, Manipur. 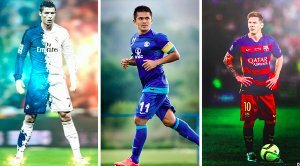 Their strength is to be seen especially with the addition of attacking midfielder Akhlidin Israilov who hails from Kyrgyzstan and has played for Dynamo Kyiv and Dnipro of Urkraine but one thing they will surely miss is their home fans which served them as their 12th man for whole of their 2nd division campaign. However, they are still a very dangerous team and should not be taken lightly. On being asked about their maiden campaign in I-League NEROCA head coach Gift Raikhan said his he will go game by game. 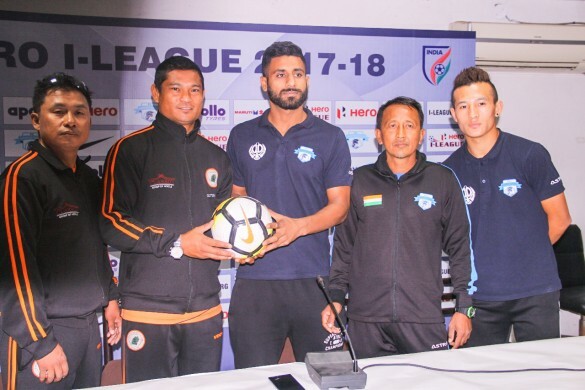 “2 years ago we and Minerva Punjab both tried to win the 2nd Divison I-League, that year Minerva were successful but last year we managed to win the 2nd division and that too unbeaten throughout the season. Both Minerva and NEROCA are very young squads but we also have experienced players in Gouramangi Singh and Sushil Singh. It will be interesting to watch them battle for 3 points,” he added. If we look at the stats Minerva is unbeaten against NEROCA. In 2015-16 2nd Division I-League Minerva managed to beat NEROCA at home by 3-2 and drew the second match. But Raikhan simply brushed off the stats and said, “Past is past. Let’s focus on what’s about to come”. The highly anticipated match will kick-off at 5:30 PM tomorrow on Star Sports 2 and Star Sports 2 HD.